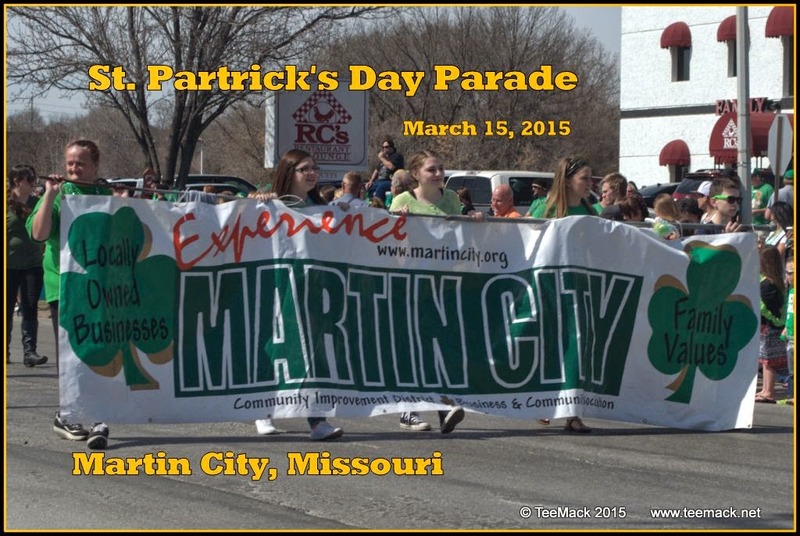 The Martin City St. Patrick's Day Parade was held on March 15, 2015 in Martin City, Mo. Martin City is located in the Southern park of Kansas City, Mo. Frank White of the Kansas City Royals was the Grand Marshall of the Parade. The theme for this year's parade was "Go Green For Your Team". The parade included floats, drill teams, auto clubs, and many animal groups. The weather was fantastic with temperatures in the low 70's. Click here to view photos of the Parade.